TIED FOR HIGHEST GRADED AT PCGS. 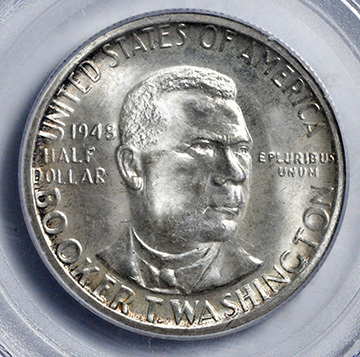 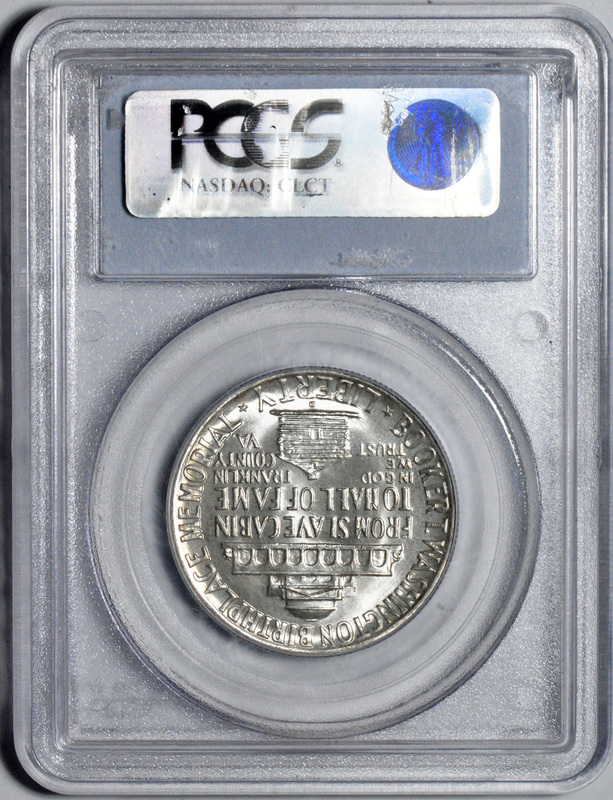 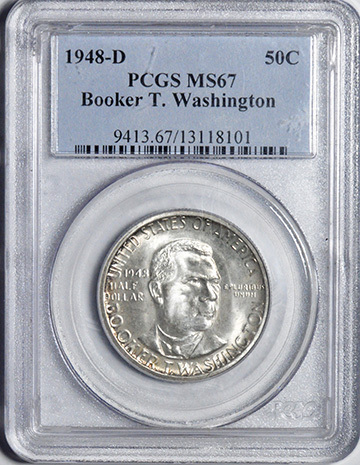 This silver half dollar was struck to commemorate the life and work of Booker T. Washington, a leader and activist in the Africa-American community who died in 1919. 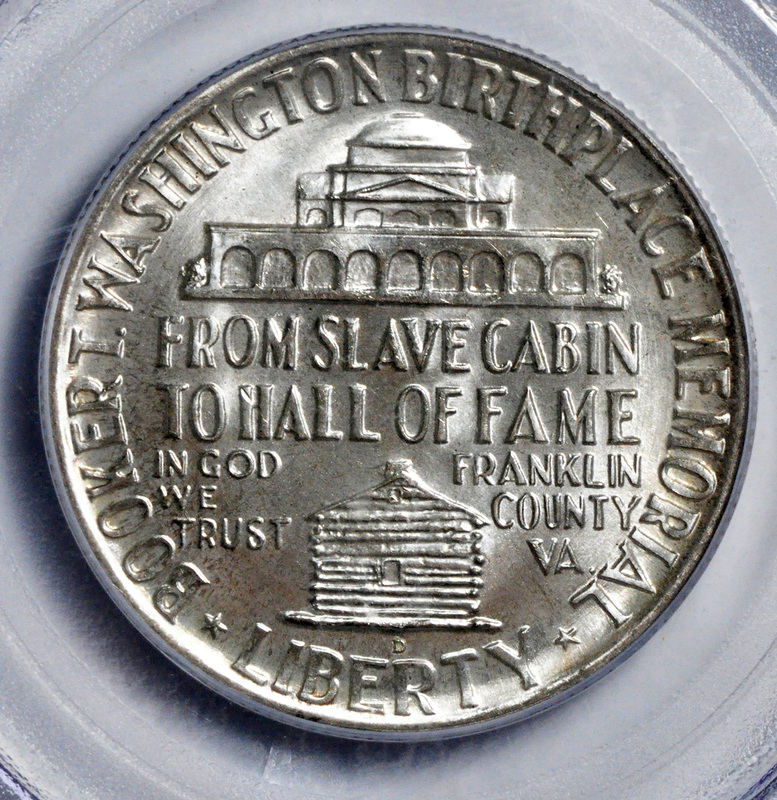 The Booker T. Washington commemorative series ran from 1946 to 1951 when a commemorative coin featuring both Booker T. Washington and Washington Carver together took its place and ran until 1954.